Tec the detective has found a hole in the ground -- but who dug it? Children follow Tec as he trails his suspects, until he finds the vital clue that leads him to the guilty party! Red A/Band 2A books offer predictable text with familiar objects and actions, combined with simple story development. Text type - A story with predictable structure and patterned language. Tec's investigation involves many suspects, all of whom can be seen and discussed in a character line-up on pages 14 and 15. 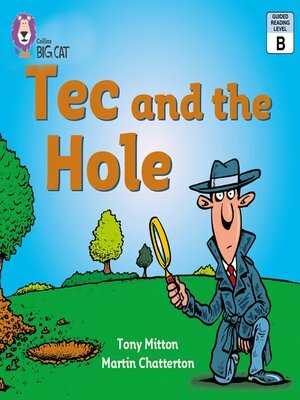 Tec and the Hole is one of three stories by Tony Mitton about Tec the detective.